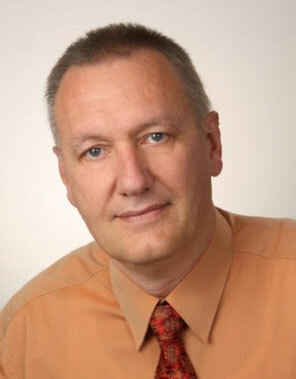 Claus Haendel has over 25 years’ experience in mechanical engineering of commercial and industrial buildings. Claus has been Technical Secretary of EVIA European Ventilation Industry Association since 2010 and deals with all the working groups of the Association: Residential Ventilation, Non-Residential Ventilation, Fans and Ventilation 2020 EPBD. He supports the Association on all the technical aspects of its work. In addition to this, Claus is Technical Adviser for Fachverband Gebäude-Klima e.V. - Professional Institute of Air Conditioning in Buildings in Bietigheim-Bissingen with the following working groups: Residential Ventilation, Maintenance and cleaning, Indoor Environment, Non-Residential Ventilation and Room air conditioner. His key activities include product development of air conditioning components, designing of Computer aided simulation tools for Ventilation and Air-Condition (www.rlt-simulation.de), customizing of Service activities, and lectures in energy performance in ventilation System.